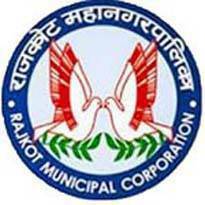 Rajkot Smart City Development Limited (RSCDL), A Subsidiary Company of Rajkot Municipal Corporation Published Recruitment Notification for Deputy General Manager - Information Technology Posts. View More Details About This Recruitment Including Total Posts, Posts Name, Qualification, Experience, Age Limit, How To Apply etc., are Given Below. The Candidate should have Degree in Computer Engg. / I.T. / E.C. or Equivalent. The Candidate should have Minimum Five years of Experience in Handling Successful Implementation of the Projects in Govt. Agency / Development Authority or Public Sector or Reputed Private Organisations. Extra Experience will be Considered Separately. Ability to Work in a Team and Train Staff on the Job to use the Systems and Assist in Addressing Day to Day Issues. Implementation Support, Facilitation, and Coordination Skills. Address : The General Manager, Smart City Development Limited, Room No. 10, First Floor, West Zone Office, Shri Harsinghji Gohil Bhavan, Behind Big Bazaar, 150 Feet Ring Road, Rajkot - 360005.